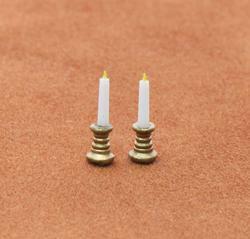 1:48 Set of Brass Candle Sticks Kit Brand New! 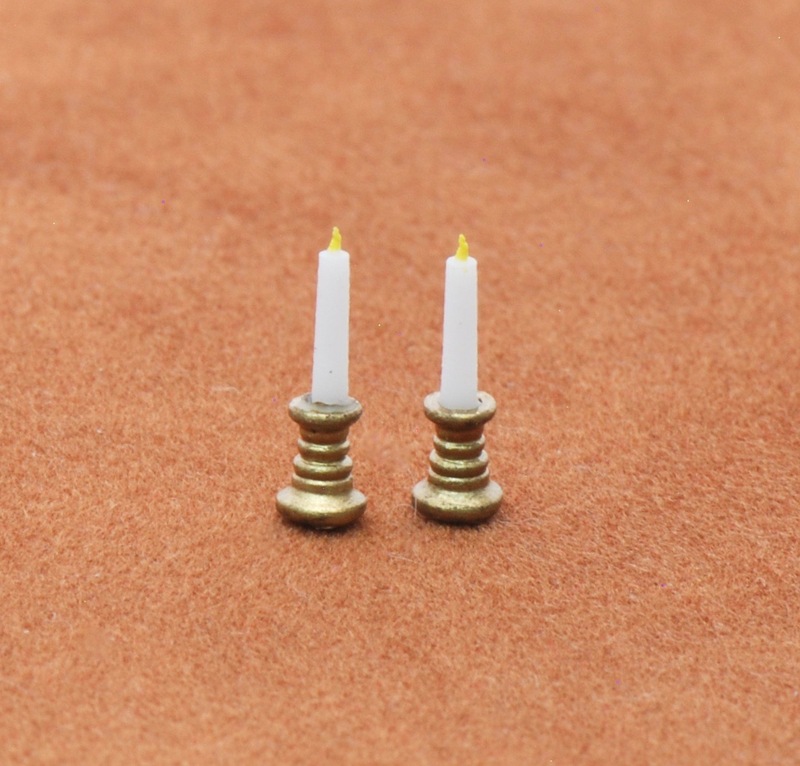 This is a set of 3D printed brass candles sticks with candles. The candles come in a set of 3 in case one is lost or broken. They don't even need to be painted, just the wick. The brass candle sticks come on a support making them easy to paint. I used the Brass Leaf Paint I sell here on the web site. Works beautifully.